In a bowl, whisk together eggs, milk, 1 tablespoon of the marmalade and a pinch of salt. Transfer to a shallow dish. Dip both sides of bread into egg mixture. Melt butter in a heavy frying pan over medium heat and cook bread 2 slices at a time, depending on the size of your pan. Keep French toast warm in the oven while you cook the remaining slices. In a small saucepan, heat remaining 3 tablespoons marmalade. Add bananas and warm through. 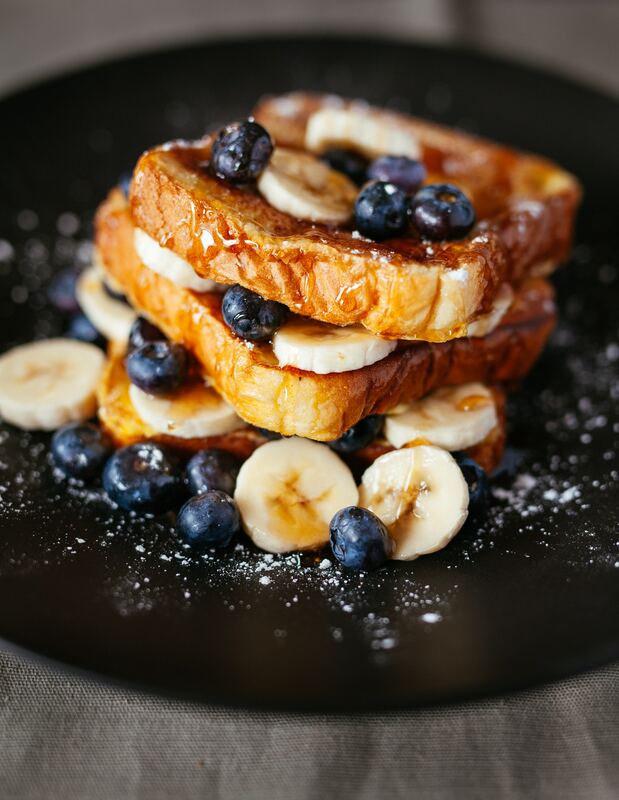 Spoon bananas over French toast and serve.